When you list your house for sale with a Realtor, he becomes the “Listing Agent”. You will notice on your Listing Agreement that there is a spot for the commission you agree to pay him. This normally represents your total liability to that agent (actually to his broker who, in the eyes of the law, is actually your agent), but he doesn’t get the whole thing, as explained below. If you’re sitting there with someone who is demanding additional fees, call me. The Listing Agent’s job is to represent you in the sale: marketing the house, handling offers, and doing more or less (depending upon how he operates — with me it’s more) during the escrow period. Clearly the agent wants the escrow to close as badly as you do, if for no reason other than he doesn’t get paid if it doesn’t. In order to attract the maximum number of qualified buyers to your house, the Listing Agent offers generally half of the above commission to induce Buyer’s Agents to show their buyers your house. The amount offered is very important: if your competition is paying the Buyer’s Agent 2.5% of the total of 5%, and you’re only paying 2%, you have shot yourself in the foot. It isn’t that 2% isn’t plenty of money, but think about it from the Buyer’s Agent’s point of view: you may think he just shows up one day with his buyers and that’s an awful lot of money for just doing that, but nooooo. He has been schlepping these buyers all over town for months showing them maybe 30-40 houses, none of which they have (by definition) bought, but which process has hopefully given the Buyer’s Agent a good idea of what they want. So they’ve seen everything by the time your house comes on the market. Their agent comes to my broker’s open house, eats my food, chats me up, and brings his buyer to see it the next day. You can see that this process could very well be run off the rails if, before he calls his buyers, he notices that we are paying him less than the standard rate of commission. He will at least be hesitant to, after all those months and houses, settle for that. He may even think unflattering thoughts about you. The result is that you will likely not be exposed to all the buyers, which could result in a sale price enough lower that you’d have been better off just paying what your competition is. One underlying point here is that this is a contingency business, meaning that agents don’t get a penny until and unless the sale is consummated. I could (but won’t) tell you all the time and effort that goes into potential buyers and sellers where nothing ever happens, and the agent doesn’t get one dime for any of it. It’s not like an attorney who charges you for everything, even if you lose your case. So while you may think that commission is pretty hefty for what you see, there is an awful lot that goes on that you never see. More than I’ve gone thru here, but my purpose here is not to provide a litany of all of it. 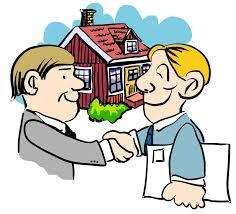 You are paying your Listing Agent for his/her years of experience in handling sales. Generally, the more experience the better, especially since the fee is going to be the same. After 30+ years of doing this, I’ve seen most of the issues that are likely to come up, and know how to handle them. A mere real estate license does not confer this knowledge. Leases are another subject: Realtors generally only handle leases as an accommodation to good clients or in hopes that the landlord/tenant will become a client in the future. Realtors make almost nothing on leases, especially when considering the amount of time and effort that must be put in. If they’ve handled a lease and the client later buys or sells the property thru another Realtor, it becomes uneconomic for the Realtor who did the lease. Most Realtors simply don’t “work leases” , and these are the reasons. This entry was posted on Tuesday, January 21st, 2014 at 7:25 am and is filed under Buyers, Everything I've Written, Myths and Misconceptions, Real Estate General Info, Sellers. You can follow any responses to this entry through the RSS 2.0 feed. You can leave a response, or trackback from your own site.